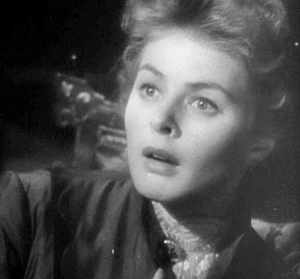 “Gaslighting” is a term that has nothing to do with how we used to light our street corners and our homes. Nothing of the sort. Instead, the term originates from the play by Patrick Hamilton in 1938 called “Gas Light” together with the film adaptations in 1940 and 1944 which demonstrated the systematic psychological manipulation of a victim by her husband. In the story, the husband attempts to convince his wife and others that she is insane by manipulating small elements of the environment and insisting that she is mistaken, remembering things incorrectly, or delusional when she pointed out those changes. As Ruth Ostrow recently reported in an article titled “Sanity Stealers” in “The Australian” on Friday, 26th January, 2018 (page 14), her situation went like this. She said, …”a recent experience really distressed me. It involved someone who was in the wrong. When I caught her out, instead of apologising, she somehow convinced me that I was to blame. She relayed events differently to what I had remembered, to the point I questioned my own sanity – and she accused me of creating a drama because I was feeling so guilty about my own bad behaviour. Hugh? I was so confused and kept going over events in my mind until I became convinced that I had remembered exactly what happened, which included catching her red-handed in an act of betrayal. Why had I ever doubted the facts for one minute?” Ostrow goes on to say that she had fallen for a deflective technique called gaslighting. So what is it exactly? It’s the manipulative behaviour or technique of one person to make the other question their own reality and their intuition and then doubt themselves so that they become more dependent on the “gaslighter”. Doubting yourself in this way only serves to make you more dependent on the abuser. 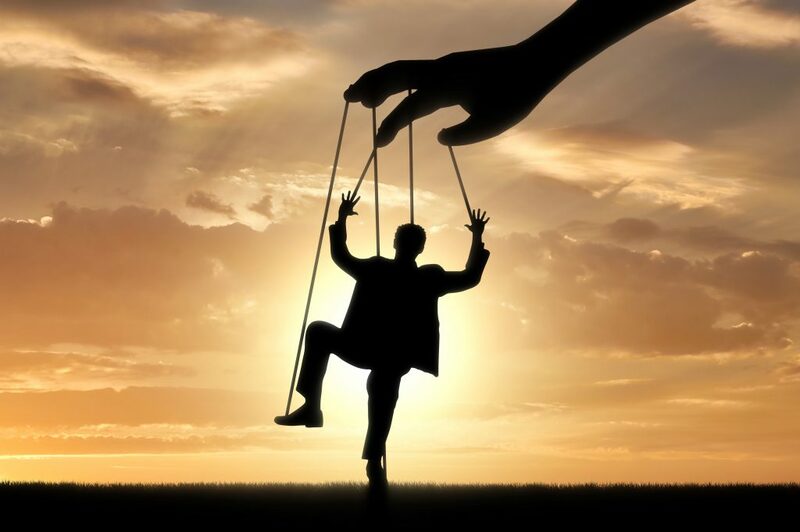 It’s a technique used by abusers, narcissists, dictators, con-artists, bullies, and cult leaders who all seek to gain control over you. Sound familiar? Ever doubted yourself with someone in particular? Of course, we all have doubts at times, but sometimes there is a specific person who always makes us feel like we need to second guess ourselves. For example, in some abusive relationships, spouses may flatly deny that they have been violent or lie about what happened. In parent-child relationships, especially where there is drug abuse or mental health issues such as personality disorders, then the parent might use gaslighting to keep the child quiet about the abuse or addiction. Where a child is emotionally, sexually or physically abused, the adult might use gaslighting to ensure that the child does not say anything to outsiders. In cases where the parents have had a nasty separation or divorce, one parent can use gaslighting to portray the other parent as “hopeless”, “irresponsible”, “immature” and a “total idiot” to the child, in order to get the child to side with the one parent against the other. In the work situation, you could have a manager who micro-manages for control, who changes their minds and then denies it, who lies about what happened or what occurred or who tries to align people against you. What are the Signs of Gaslighting? You know it’s a lie, but they say it so convincingly that it is kind of unsettling. If they can tell lies like this, what can you really believe about them? This keeps you unsteady and throws you off ‘centre’ and starts to tip your world upside down which is their goal. They constantly criticize you or find fault. They blame you for their behaviour. Yes, it’s all your fault. Every disagreement or argument in the end boils down to it being your fault. You’re to blame. You’re the one who created this situation. You find yourself constantly apologising in order to keep the peace and trying to gain some sort of harmony. For example, you point out a poor behaviour or their negative emotions and suddenly, you’re the one who is “dramatizing” it all or “over-reacting” or just being “overly sensitive”. You can’t win, and so in the end, you shut down. This is designed to keep you mute, and for you to question your own grip on things. They deny they ever said or did something, even if you have proof. At some level, you know that they did something or that you heard something, but they out and out deny it. Their denials are such that as a reasonable person yourself, you start to doubt your reality. Maybe there was another interpretation to what you saw or heard. The more that this occurs, the more you question your reality and you start to accept theirs. They know for example, that your work is important to you or your children are very important to you and they know of course, that your identify is fundamental to who you are. For work, they might state that you only have the job because the company feels sorry for you or they couldn’t find anyone else to do the job. In regards to your children, you say that you should never have had them. They tell you that you are a worthy person, but it’s just that you have this long list of negative traits and poor behaviours. They undermine who you are as a person. These gaslighters do not have integrity as people, so you’ll see that their words and their actions are not congruent. Ultimately, don’t believe the words. Words are cheap. Actions speak louder than words. They throw in positive praise to confuse you. While gaslighters are intent on bringing you down and undermining you, on occasion they will say something positive about what you did. Again, because you are a reasonable person, you cut them some slack saying, “Maybe they aren’t so bad after all”. But they are. This see-saw effect of negativity mixed with the occasional positivity only serves to keep you off-kilter again and unbalanced. When things are unstable and you can’t count on consistency, you start to question everything. It’s like walking around on egg-shells. This is exactly the goal of the gaslighter. The more unsteady that you become, the more that you rely on them to feel “stable”. Whatever they are accusing you of doing such as abusing alcohol or cheating on the relationship is a ploy to deflect attention away from them. They project onto so you find yourself so busy defending yourself that you get distracted from the gaslighter’s behaviour. The truth be known that whatever they are projecting onto you is probably a very good indication that they are dong exactly that ie., drinking way too much or having an affair. As you’re aware of by now, gaslighters are master manipulators of their environment and they will find people who will stand by them no matter what and they use these people against you. Remember that they are constant liars so they will say things like, “This person knows that you’re hopeless too” or “This person knows that you’re not correct”. Now, it may well be that these people didn’t say anything of the kind, but nevertheless, this throws you and you’re not sure who to believe. If you don’t know who to trust anymore, then this can lead you straight back to the gaslighter. They tell you that everyone else is a liar. By asserting that everyone else is a liar including family, friends, workmates or even the media, it threatens your reality. What’s the truth really? Because you are reasonable and genuine, you’ve never known anyone with the audacity to say such things, so maybe they are right. Maybe they do have a sense of the real “truth” after-all? So maybe you need to turn to them for the “correct” information – which of course, is not correct at all. They tell you and others that you’re crazy. Finally, Dr Sarkis writes that this is a master technique because if the gaslighter can discredit you to the point of your sanity, then no-one is going to believe you in relation to the gaslighter’s poor, inconsistent, and inappropriate behaviour. What are the Personal Signs that you’ve been Gaslighted? You start to question if you are too sensitive. You often feel confused and have a hard time making simple decisions. You find yourself constantly apologising. You can’t understand why you’re so unhappy. You often make excuses for your partner’s behaviour. You feel like you can’t do anything right. You often feel like you aren’t good enough for others. You have the sense that you used to be a more confident, relaxed and happy person. You withhold information from friends and family so you don’t have to explain things. Of course, it goes without saying that if you’re in such a relationship, then you are in danger emotionally and psychologically and you need to realise that such a relationship could impact you for some extended time (months or a few years) even if you manage to get out of it because of the significant effects on your mental health. Step 1 is to make a stand for yourself and realise that you are your own best friend and that you owe it to yourself (if not to your children and family if you have any) that your partner is dysfunctional and unhealthy and that this is a toxic relationship. Call it for what it is. Never wait for them to “come to their senses” – it just won’t happen. They will stay in denial and they will never ever admit that they are gaslighting. So, give up on any awareness or confessions on their part. Step 2 is to get out as quickly as you can and as safely as you can. It might mean that you don’t give any hint of leaving, but you just go. You cannot save them or get them to therapy (remember that there’s nothing wrong with them! ), but you can save yourself. You’re worth saving! Get some trusted friends and family to support you and help you to leave. Step 3 is to get therapeutic help and support. You may well need it after the battering you’ve taken over months or years of this toxic relationship. Therapy helps you to see things in perspective once again and it helps to have an independent opinion that you did the right thing by leaving. Step 4 is critical in that you never look back. Don’t even think about second chances for your partner. Instead, focus on recovering and re-discovering yourself and going forward in positive ways. There is a big world out there waiting for you and you owe it to yourself to realise your real potential. This entry was posted in Articles and tagged Human behaviour, Mental Health, Narcissist. Bookmark the permalink.